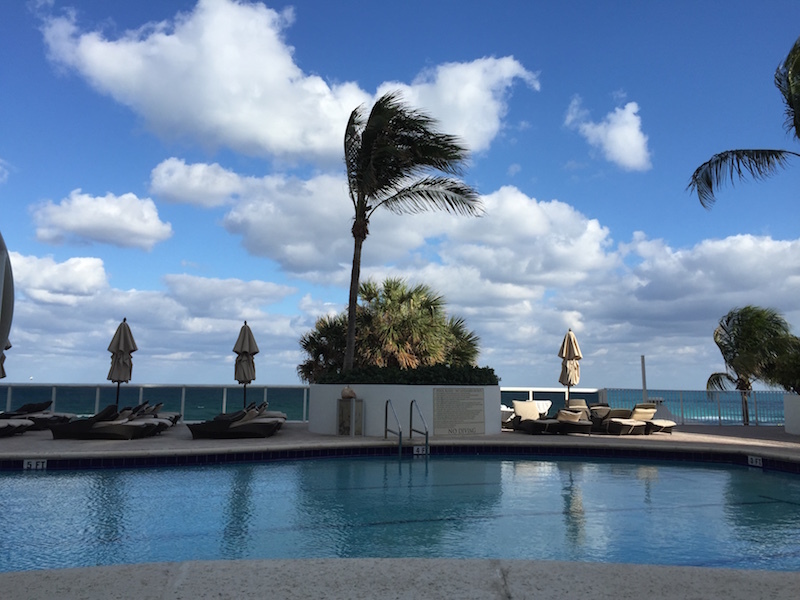 From the moment we arrived at the Trump International Beach Resort in Miami Beach, I was impressed. From the kindness of the staff welcoming us in to the efficiency of check-in, I was hooked. 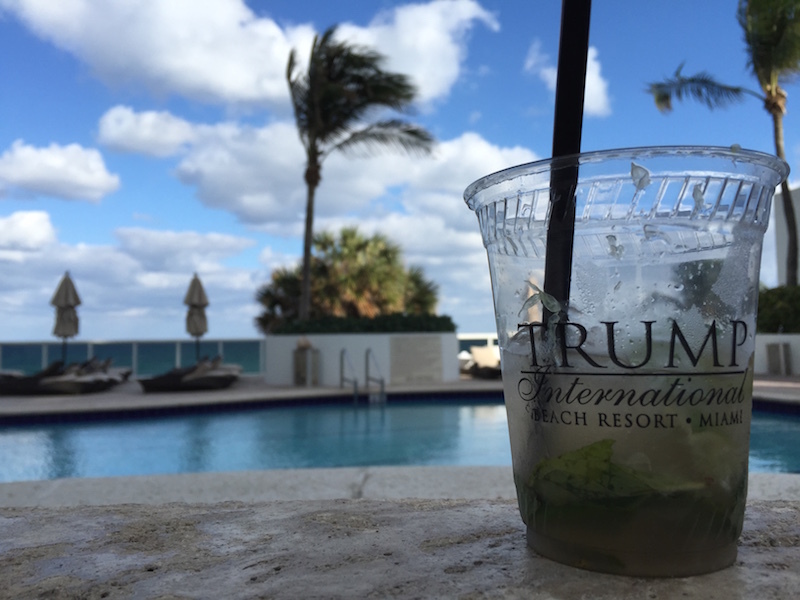 Here’s what we loved most about the Trump International Beach Resort Miami. Sometimes a boutique hotel is a great fit. Other times, you need to spread out a little. We literally did that at the Trump International Beach Resort Miami. As we were shown our room, the kids lied down on separate areas of the floor and just stretched out. I immediately went out to the balcony. 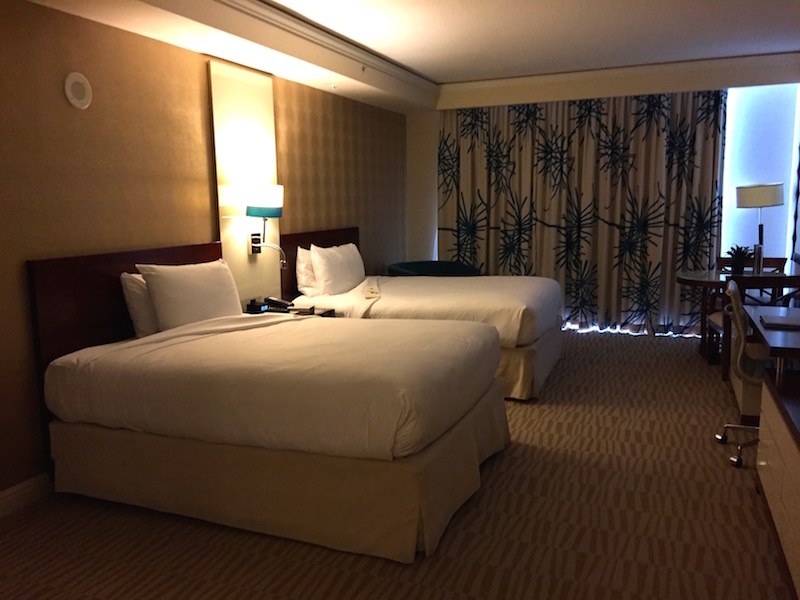 The rooms at the Trump International Beach Resort Miami are huge. Even better, they come with a small kitchen. The beds are extremely comfortable and everything is the room is as luxurious as the Trump name would suggest. I almost wished for a rainy day to just have some time to chill in the room. Almost. When you travel with kids, pools are more important than you think. If you end up at a place with a bad pool, the rest of the trip will be more difficult. From the moment I laid eyes on the pool at the Trump, I felt a sense of relief. We first visited the main pool at Trump International Beach Resort Miami and fell in love. From the adorable kid’s beach entry section with flowing waterfalls to the various areas where it is easy to hide and have some time alone with your kids, this pool is awesome. Add that it is meticulously clean and heated and you will never want to leave. I sat starring off at the pool’s infinity edge that met perfectly with the ocean for at least an hour. There is a another large pool not far from the main pool that also overlooks the ocean. It is more of a traditional lap pool but is open to anyone. My kids loved trying them both out. There are also three hot tubs that vary in bubbles and temperature. I felt like Goldilocks going from one to the other trying them all out. As serendipity would have it, my favourite was right by the bar that happened to serve the most delicious mojitos I have consumed in a while. 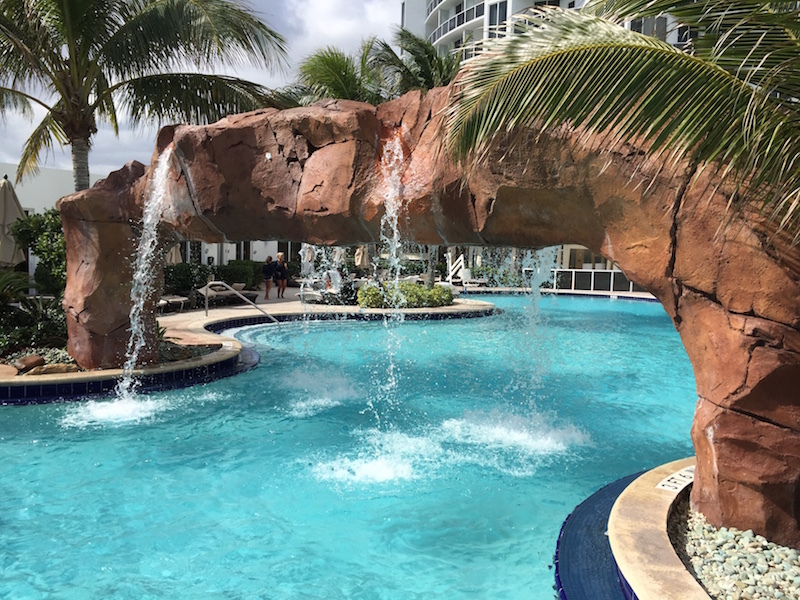 The pools at Trump International Beach Resort Miami don’t actually close. We loved being able to go out at night for a bedtime swim. The kids always headed to bed exhausted and fell asleep immediately. A good hotel means nothing without great staff. I actually stopped a staff member one day and asked if there was some sort of hospitality training the Trump International Beach Resort Miami put them through. He sort of laughed so I didn’t get a clear answer but I wouldn’t be shocked if it were true. I never encountered a staff member who wasn’t pleasant, cheery and polite. Nathaniel and the team of people by the pool blew my mind. 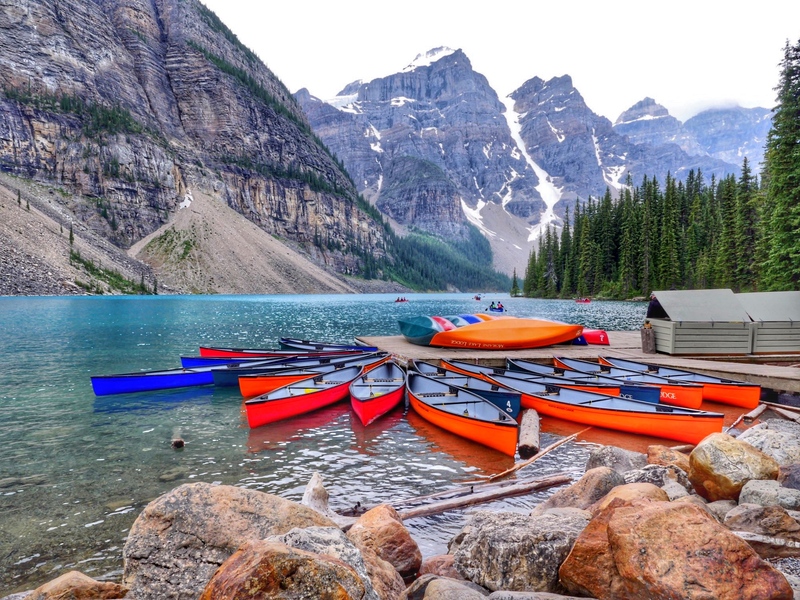 As a solo traveling mom, it can be tough to lug towels, two kids and all their swimming gear everywhere I go. Nathaniel was always one step ahead of me setting up seats for all of us, protecting us from the sun and seagulls and asking if we would like to move as the sun shifted across the horizon. The members of the cleaning staff were no different. There wasn’t a time we left our room that I didn’t return to find they had checked in and tidied up. The women working our floor went far above and beyond the call of duty. It felt like we were being cared for by family members. I will always remember the staff most about the Trump International Beach Resort Miami. To say my kids have tried a lot of kid’s clubs is an understatement. I never know off the bat if they will love them or not want to go. 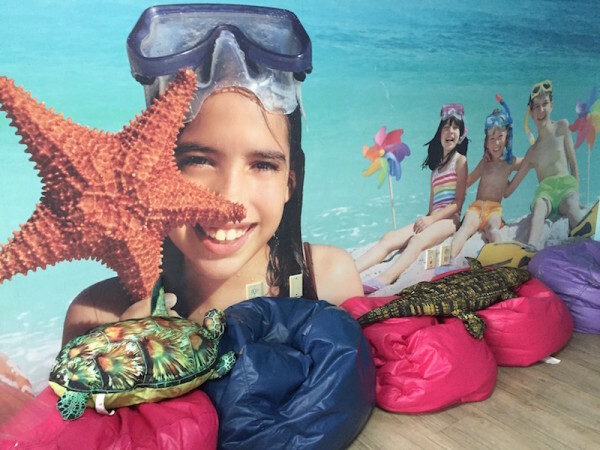 When we went to check out the Kid’s Club at the Trump International Beach Resort Miami, they were welcomed with open arms. The woman running the show welcomed us in and gave me the grand tour. Charlie immediately got to making crafts and Will played with some other boys. I remember thinking it was small and my kids wouldn’t spend a ton of time there. Boy was I wrong. As we went to leave, the kids begged to stay. I wanted them to spend some time there the next day so I was a little hesitant but eventually gave in. The woman in charge assured me they would want to come back the next day. Hours later I returned to get them and came upon the cutest scene I had witnessed in a while. My two smiling kids were engaged in a very serious Frozen dance party and didn’t even notice me. Will, who hates Frozen, was just as into it as every one else. As they ran through the extensive list of what they had done that day, I realized the size of the kids club didn’t matter as they were taken to all corners of the property exploring, playing and having fun. The next morning, I delivered them to Planet Kids again and explained I would need to pick them up as I had to leave the hotel for a meeting. The woman looked at me quizzically and asked why I wouldn’t just leave them there. The look of confusion on my face must have been priceless. She then explained that you are allowed to leave the hotel property and leave your kids in their care. They also will arrange babysitting at night for an additional cost. We talked about what the kids would eat and do and then I was off. I had asked for them to watch Will who had too much sun in the previous few days in Miami and they were diligent about making sure he wasn’t in direct sun. Instead, they played soccer on the shaded tennis courts, took him swimming in the shaded areas of the pool and even called me to ask if they could put more sunscreen on him throughout the day. 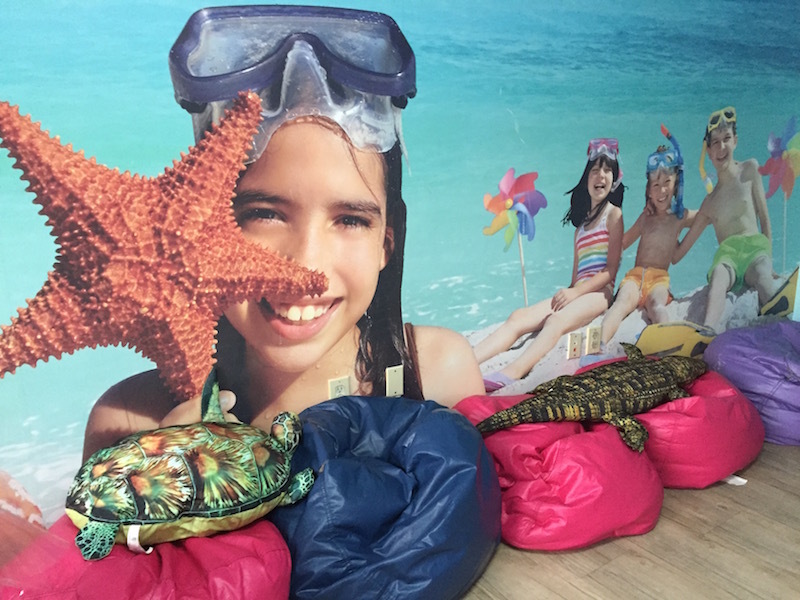 The best part of Planet Kids is that it is included in your stay. It also has a really cool environment focus teaching kids about the natural wildlife in the area and being kind to the planet. The worst part, well at least for me, is that your kids will not want to leave. Luckily, with so much to do on the property including a spa, tennis lessons, watersports and gourmet restaurants, you will find ways to entertain yourselves. Another one of the more remarkable things about the Trump International Beach Resort Miami was the food. Every thing we tried was fantastic. Even better, it was fresh. I had such a good Mahi Mahi sandwich by the pool the first day that I didn’t even want to try anything else. I did. It was all great. 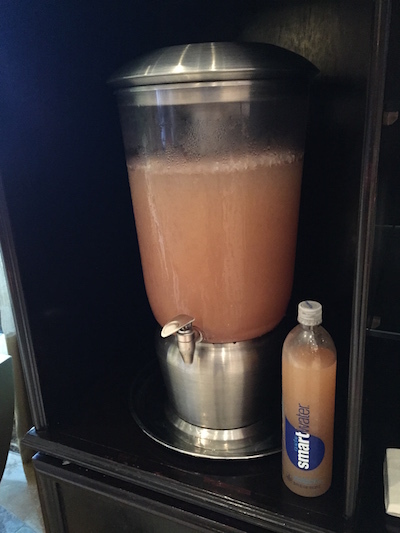 Okay this might sound a little crazy but a huge perk to the Trump International Beach Resort Miami was their signature grapefruit water. Available in the lobby, the water is meant to contribute to a healthy diet, provide you with vitamins and lower calories while keeping your skin in top shape. Besides that it tastes fantastic. Like so good that I stopped drinking it out of cups and just filled an entire bottle with it. Trump International Beach Resort Miami is located in Sunny Isles, Florida. The area is incredible. 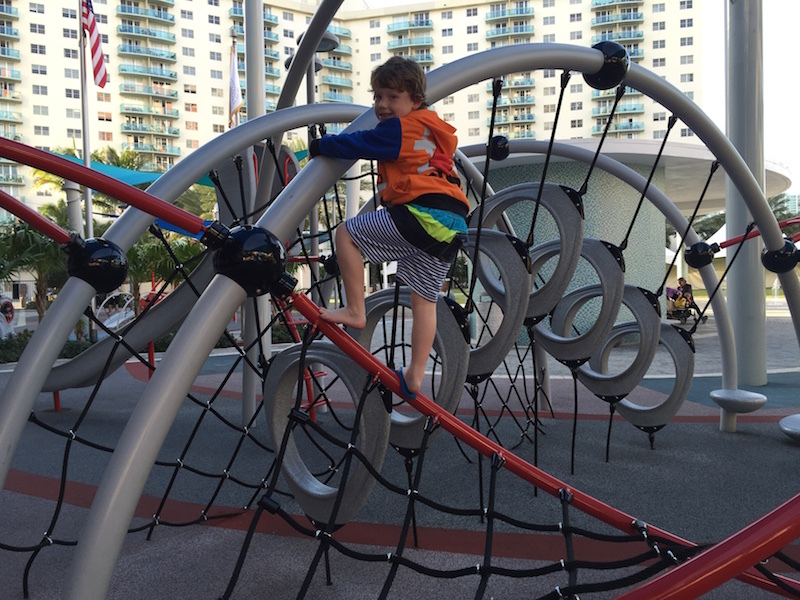 We loved the nearby fishing pier as well as the numerous brand new public parks that were in walking distance from the hotel. Even though you are not in South Beach, the Trump provides a free luxury shuttle service to and fro. The driver of the shuttle was a kind man who cared about the safety of the kids and our rides felt a lot safer than some of the taxi cabs we had gotten into. Because the shuttle is free you also don’t have to worry about the cost of parking or transportation which leaves more money for shopping and a visit to Dylan’s Candy Store on Lincoln Road. Our stay with at the Trump was perfect. Even to the point that when I tried to be mischievous and press every elevator button, the elevator just reset itself. The hotel was clean, the staff was impressive and our stay was everything I wished for and more. Great review. We were looking for a hotel in Miami Beach or South Beach for our family of 5. This is perfect. Thanks for the thorough review, much easier to make a booking with your detailed report.